In our effort to be the end-to-end provider for all your bottling and packaging needs, we at Spirited Packaging are proud to have partnered with Cork Supply USA to offer a complete line of corks, capsules, and closures to finish your bottle in style. 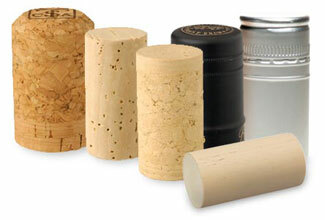 With their complete range of best-in-class top-of-the-bottle solutions, Cork Supply offers winemakers choice. Their unbeatable collection includes premium natural corks, technical corks, synthetics, capsules, and sparkling wine closures. The brands they carry — their own and their partners' — are the industry's finest, representing the pinnacle of quality, innovation, performance and consistency. Globally, Cork Supply is the supplier of choice for thousands of the finest wineries. In North America, they supply wineries more wine closures than anybody else. A preferred supplier of natural corks throughout Europe, Australia, South Africa and the Americas, they also supply Rivercap® capsules across North America, South Africa and Australia. 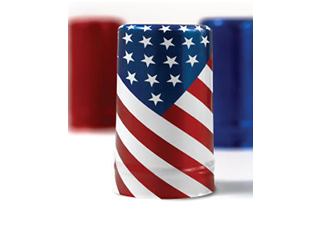 What's more, in the U.S., Australia and South Africa, they are the exclusive distributor for Nomacorc® - the top-selling synthetic closure in the world. Their many years of proven experience pairing closure types to wines across distinct markets, brands, varietals, and winemaking styles sets them apart, and lets us work with them to provide you crucial insight concerning each closure's impact on all facets of winemaking, bottling, packaging and performance. We have worked exclusively with Cork Supply to create cork and capsule recommendations for each of our products, which you can find on the product pages in our product catalog. You can also find more detailed information about all of Cork Supply's best-in-class top-of-bottle products by following the links on the left side of the page. Then, contact us to discuss how we can help you select the perfect top-of-bottle products to complement your brand.